President Hassan Rouhani was confronted with this picture from the “My Stealthy Freedom” Facebook page during an interview with French journalists. Iranian President Hassan Rouhani's trip to France has garnered much attention this week, not the least because of the “no wine at dinner” debacle that became a controversy overshadowing the first European trip by an Iranian president in over decade. Now, it's because of his reactions to a photo from the “My Stealthy Freedom” Facebook page. The Facebook page features Iranian women shedding their headscarves in public in Iran in protest against the country's mandatory hijab laws. The public clothing framework enforcing hijab under Islamic codes have been part of Iran's laws since the 1979 Islamic Revolution. Rouhani's trip to France has come amidst hopes that the French and Iranian heads of state will discuss important matters such as the nuclear deal signed in Vienna last July as well as the Syrian conflict. Indeed, this trip has marked an important milestone in Iran's diplomacy and cooperation with the West. However, the popular moderate president's reactions on questions regarding mandatory hijab have elicited many reactions, especially from Masih Alinejad, an Iranian journalist now based in New York. 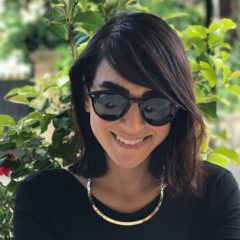 Alinejad is the creator behind the Facebook page that has come to be described as a new social movement for women's rights in Iran. French journalist David Pujadas presented Rouhani with a photo of a woman shedding her headscarf in Iran from the Facebook page. French journalist David Pujadas shows Rouhani a picture of an Iranian women from the mandatory hijab protest page “My Stealthy Freedom.” Screenshot of interview. خنده های کمی عصبی آقای روحانی با دیدن عکس جالب است که سریع می گوید چه مسئله ایه این ….ما انقدر مسائل مهمتر داریم که اصلا به اینها نمی رسیم…..
بلاخره سوال زنانِ صفحه آزادی یواشکی به گوش مسولان ایران هم رسید. مهمتر از همه شما در مورد اجرایی شدن قوانین مربوط به اجباری شدن حجاب بر اساس نوشته های خودتان، مسول هستید و الان که در قدرت هستید باید پاسخگو باشید، صدای زنانی که در شبکه های اجتماعی عکس بدون حجاب منتشر می کنند را شنیدید و می گویید اصلا مسئله مهمی نیست ولی ما یک گام به جلو رفتیم و این سوال را انقدر می پرسیم تا دیگر کسی نگوید قانون قانون است و بس چون هیچ قانونی مقدس نیست و باید به قانون بد اعتراض کرد. The photo of an Iranian woman from the “My Stealthy Freedom” page in front of the face of Rouhani will now be recorded in the office of the president of Iran. And so the question of the women of the “My Stealthy Freedom” page has reached the ears of the powers to be. I just wish I could have asked this question and not a non-Iranian journalist, but I really am happy that this question, which is typically censored, was brought using the “My Stealthy Freedom” page to the ear of a person who, according to his own memoirs, was the architect of the mandatory hijab policy early on in the revolution. But now he says the task of legislation on this topic is the responsibility of the Iranian parliament, and the journalist does not press him on what exactly is the responsibility of his government? You say as a man of the law that the people must abide by the laws of the country so these can just be any laws? Mr. Rouhani, you mean we must respect all the laws. You mean now that you and your cabinet are respecting the filtering laws of social networks? You mean if a law comes into place that will force your wife or Iranian women to remove their headscarves in international meetings you will respect this law or you will protest it? Most important of all is that the creation of the law that made hijab mandatory in Iran is in part due to your own writings. You are responsible and now that you are in power you must be accountable. 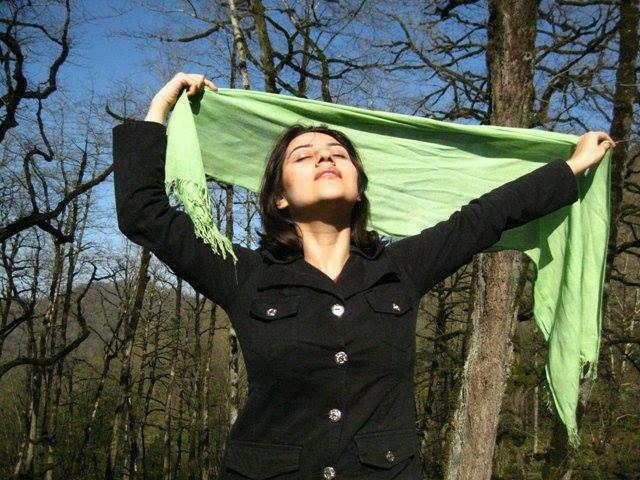 You have heard the voices of women who on these social networks have published their photos without hijab and you say that this is not an important problem at all, but we will go one step further and we will ask this question so many times that no one will dare to say that a law is a law because no law is sacred and one must protest bad laws. I dont believe hijabs should be mandatory, but we have bigger issues to deal with in Iran than caring about a bunch of woman not wanting to wear a piece of cloth on thwir heads. When the states gets involved in what citizens can and cannot wear, that is a major problem that should be dealt with urgently. And check your spelling. Maybe you’d care if it were someone telling YOU what to wear and not to wear. Because something tells me you’re probably a man..
There’s always plenty of problems and issues and we will never solve them all. Politics and society aren’t just a list of things to do that you check after a long day… It’s a Gordian knot that can be solved only when we follow several threads at the same time. climate fostered by Ahmadenijad against, women, religious minorities and political opponents. The expectation that the election of new Iranian President Hassan Rouhani would curtail persecution has proved a bitter disappointment. Sadly, human rights under the so-called “moderate” Rouhani presidency is a case where past is prologue.